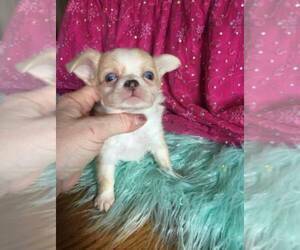 Posted Breed: Chihuahua (short coat). 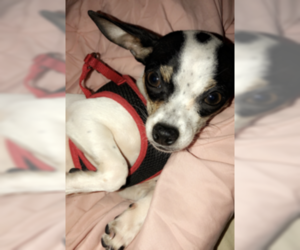 **COURTESY POST** Charley is a 12 year old Chihuahua who loves to be held, give kisses, and sit in his person&#39;s lap. He can be timid at times, but also warms up to his people quickly. Due to his age, he has been experiencing some impairments in his vision so he feels most comfortable when items in the home are not moved so he can find his way, but he manages just fine. He also struggles to make it outside in time to go potty, but he does great using a potty pad. He currently lives with two other doggie companions and has also lived with cats in the past. His current owner has fallen upon tough times and is seeking a new home for Charley and his two fur-siblings (Abbey and Penelopey, who are also listed on this site). These dogs deserve to live out their remaining years in a warm and loving home. Please consider adopting Charley. For more information or if you are interested in adopting Charley, please contact Crystal via email at crystalpurcell-law. 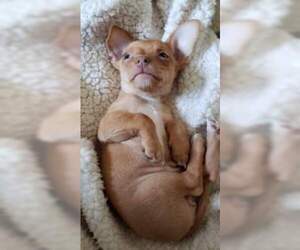 Overview: The Chihuahua is a tiny bundle of joy. Kids love him ' and for good reason. This breed seems always excited about something. They do best as an indoor dog, but they love to scamper around in the yard ' in suitable weather. Coat: Smooth with soft, glossy hair or long with soft straight or wavy coat and fringed ears. 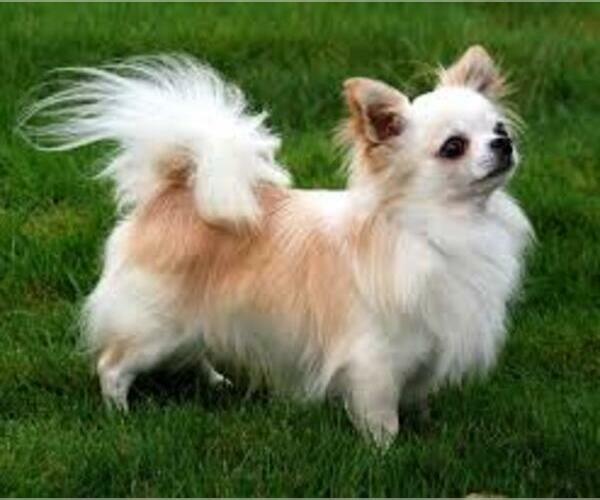 Character: Chihuahuas are very intelligent little dogs that are much more brave than their small size suggests. They often bond with only one person. Temperament: This breed usually lives with other dogs and cats very easily. 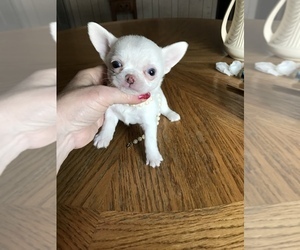 Children should be taught how to play with this small dog as many try to treat it as a toy. Care: The Chihuahua requires occasional grooming with a brush and comb. Trim claws and check teeth on a regular basis. Care of the long coat entails brushing 2 to 3 times a week. Training: This breed is eager to learn, so don't let the small size deter you from properly training him. 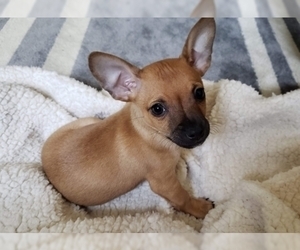 Activity: Chihuahuas can typically get sufficient exercise by playing indoors. Health Issue: This breed has a short nose and large eyes, which can cause some problems (e.g., wheezing, dry eye, glaucoma). They are prone to slipped stifle, gum problems, colds, stress, and rheumatism. Up to date on shots and have been dewormed. 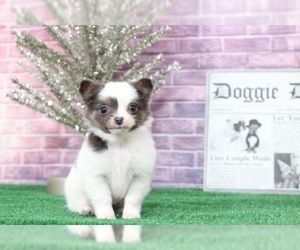 Each puppy is sold with a health guarantee and genetic guarantee.